Well, here we are again! Seems like there have been many upsetting changes coming to the parks over the past year, and the responses to those changes are what prompted this series of posts. It began with the closing of Carnation Plaza Gardens. There were discussions (sometimes heated) about what should be changed, left alone, or simply removed from the parks and former Golden Horseshoe Cast Member Don Payne was gracious enough to answer a few questions for me. My first question was “What area(s) do you think should be continually developed / refurbished / etc. in a manner that Walt would have approved of?” and you can read Don’s answers here. At Magic Kingdom Park, Main Street Bakery will close for refurbishment in January 2013 and reopen as a Starbucks location in early summer. At Epcot, Fountain View will close in March 2013 and reopen as a Starbucks location in midsummer. Both locations will be designed to fit the theme of their surroundings. At Magic Kingdom Park, for example, cast members will wear a costume consistent with the early 20th century look and feel of Main Street, U.S.A. At Future World in Epcot, the new Starbucks location and cast member costumes will be designed to match the park’s futuristic theme. At first glance, this reads as if the Main Street Bakery and Fountain View are going to be REPLACED with Starbucks. Some people were upset that the classic Bakery with its unique products was being ousted in favor of a coffee shop that can be found on nearly every street corner and in every shopping mall in the United States. 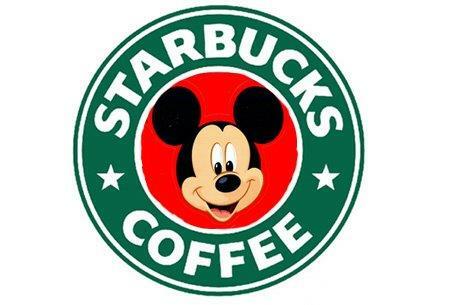 Indeed, why would Disney want to eliminate something that was part of the Magic with a mundane and common coffee franchise? UPDATE 11/12: Here’s some additional information about our Walt Disney World Resort Starbucks locations. The Main Street Bakery will keep its name and theming when it reopens in early summer. It’ll also continue to serve Disney favorites like cookies, brownies and seasonal cupcakes, in addition to Starbucks signature beverages and other items. And for those of you who asked in comments, the cinnamon rolls are available at Gaston’s Tavern in New Fantasyland, and the ice cream sandwiches are available at Plaza Ice Cream Parlor on Main Street, U.S.A.
WHEW! Turns out the changes aren’t as drastic as some of us thought! I, myself, was waiting for the announcement that WalMart or Target would be taking over The Emporium. Jokes aside, what’s interesting is that I didn’t see ANY complaints or questions about what’s going to happen at Fountain View at EPCOT. Perhaps it’s due to the fact that there’s a drastic difference between making changes to Main Street USA versus the Edy’s ice cream shop; The Main Street Bakery is decidedly Disney and Fountainview is, well, just a nondescript ice cream shop. So, this leads us back to the second question I had for Don Payne, “Are there areas and attractions that should be preserved because of how closely they are tied to Walt?” Here’s what Don had to say. The Castle should remain untouched. Town Square, Main Street and the Hub should remain as they were. Walt would NOT like the “Partners” statue being there. I, however, feel it is appropriate and well called for. The original Golden Horseshoe Revue should NEVER have been closed. I believe Walt (and most guests) would still enjoy the Carousel of Progress and and updated version of “America the Beautiful,” in Circarama, of course. Walt would NOT like all the non-Disney product tie-in’s, either. Star Wars, Indiana Jones, Captain EO, etc. would NEVER have been allowed into a Disney park in Walt’s era. He would not allow his characters to be used with… or seen in the area of… another studio’s characters. 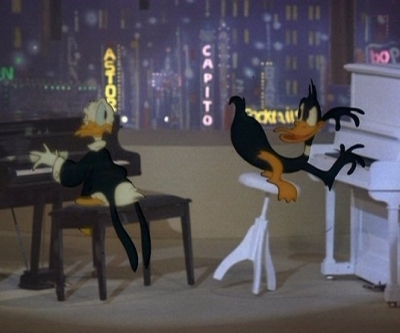 Roger Rabbit would have NEVER been allowed to be made with Disney participation. We (as costumed characters) were NEVER allowed to be photographed with non-Disney characters… including sports mascots. Walt’s policy. For a while, after Walt’s death, management observed his policy, wishes and practices in this matter. Originally, with very little exception, ALL features, attractions and locales in Disneyland were, in some way, attached to a Disney feature, character, short program or concept. Then… came the non-Disney related attractions. This changed the atmosphere, uniqueness and feel of Disneyland. I think Walt is spinning in his urn. 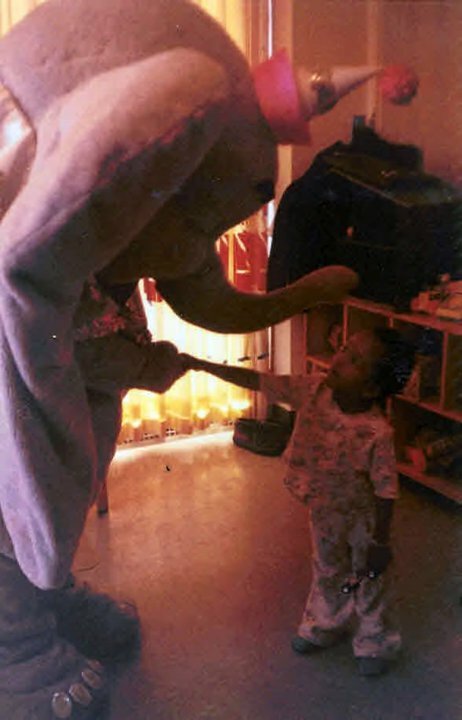 Dumbo visits a children’s ward after performing a full show for staff and patients in the main cafeteria.If a child couldn’t attend the group show, we’d go to individual rooms for a personal visit afterwards. Although often heartbreaking, this was usually the favorite activity of most of the Disney Entertainment personnel I ever worked with. We frequently visited hospitals, retirement homes and special care facilities… especially around the holidays. It was wonderful to see the way a child’s face would light up when Mickey came through the door. It taught me, early on, to always count my blessings… especially in having healthy, happy children. Once again, my sincere thanks goes to Don Payne for speaking with me and answering the questions I posed. There’s a Christmas related story that I look forward to talking to Don about and will present it here during the season! This entry was posted in Disney World, Disneyland, EPCOT and tagged Disneyland, Don Payne, EPCOT, Walt Disney World. Bookmark the permalink.